Before The Avenue was built in the late 1890's there was a short track running north alongside the Black Horse public house on Reckleford. The track was known as Pound Close - named as such because it led to field of that name. Beside the Black Horse and almost filling the trackway was the animal pound of Kingston Manor, known as Kingston Pound, Kingston Manor Pound or Reckleford Pound. This was where stray livestock such as pigs would be impounded in this dedicated enclosure until claimed by their owners, or sold to cover the costs of impounding. At the end of Pound Close was Devonshire Cottage, the home of glove manufacturer and later Mayor of Yeovil John W Hill. Following John Hill's death in 1889 the house was purchased by the Roman Catholic diocese to house a small group of Carmelite brothers and the house was re-named Whitefriars. In 1903 it was acquired, together with the adjoining property, by the Sisters of St Gildas-des-Bois who originated in Brittany, France. They built the St Gildas convent on the site. 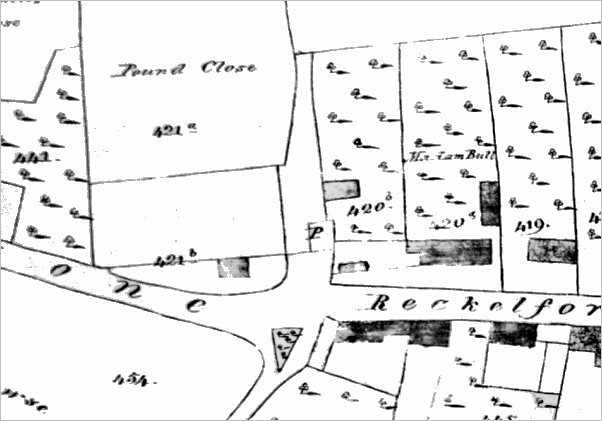 A section of Edward Watts' map of 1842 showing the field called Pound Close at top left and the track leading to it, also known as Pound Close. The animal pound is shown in the lane and marked with a 'P'. 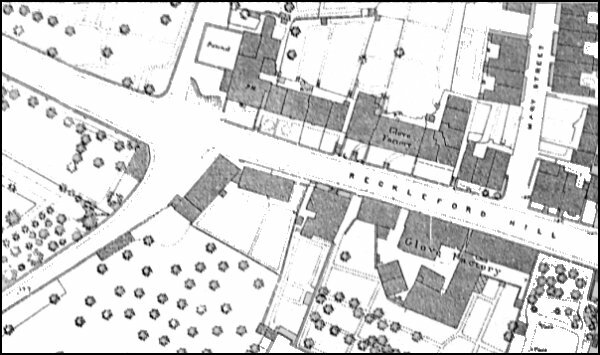 The first incarnation of the Black Horse pub, operating by at least 1835, would have been the small building above and to the left of the 'R' of Reckleford. It would be rebuilt (twice) alongside the pound at a later date. Map based on the 1886 Ordnance Survey showing the Pound at top, left of centre, sitting alongside the Black Horse public house. The track in which the pound was located was called Pound Close. 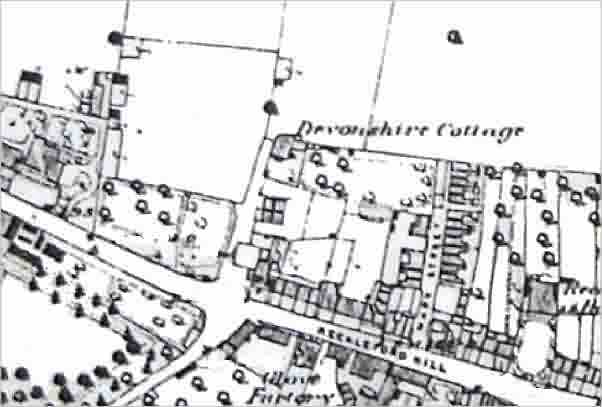 A portion of the 1889 Ordnance Survey map showing Devonshire Cottage at centre. The lane it stood in, Pound Close, would be developed as The Avenue and the cottage itself would later be known as Whitefriars.